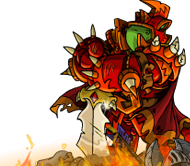 Neopets.com has tons of pet games, whether you're looking to dive into a world of adventure or just relax with some quick entertainment. You'll meet new Neopets in our games, along with their companions, Petpets, and of course the faeries of Neopia also make an appearance. There are plenty of action games for when you want to run around and test your arcade skills. Leap for doughnutfruits with adorable Petpets in Hasee Bounce or travel to outer space in Freaky Factory and control vats of goo to make plastic toys... but watch out for the thief, because he'll run off with your products! In Meerca Chase II, you win by gathering tasty Negg fruits that make your tail grow, but in Ice Cream Machine, it's best to dodge the ice cream flying toward you. Otherwise, talk about an ice cream headache! On the other hand, try one of our puzzle games if you want more thinking and less crazy clicking. In Destruct-O-Match III, it's up to you to blow up the stone blocks that have covered the land, but the more thought you put into the order of destruction, the better your score will be. You can match ancient symbols inside a desert pyramid with Sutek's Tomb, help the faeries pop sugary bubbles in Faerie Bubbles before they take over the skies, or plan how best to stop your opponent's clockwork toys from stealing all your cookies in Biscuit Brigade, just to name a few. Best of all, for every pet game that you play, you will earn Neopoints, which you can spend on all kinds of items on Neopets.com. Make sure to sign up first! Neopets is free to play. If you're not sure where to start, choose a random game. Hundreds of pet games are available right now. Rescue stranded Alien Aishas from dangerous planets. Clear up the water in Kiko Lake by shooting bubbles! Bowl your way through 7 levels of Lost City Lanes!